Denver Business Journal is reporting a story about the state's first equity crowdfunding site getting up and going. Purchasing a minority share interest in a small local business can be fun and give you a sense of contributing to the community. 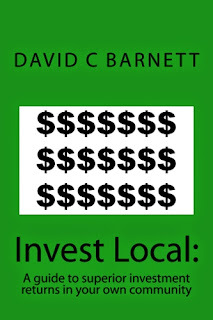 To learn more about why sound small business investments are made via loans and leases and not equity, read my book Invest Local. 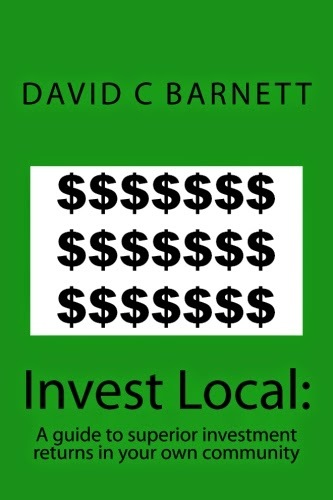 Available at www.InvestLocalBook.com or from Amazon as a paperback or Kindle e-book.